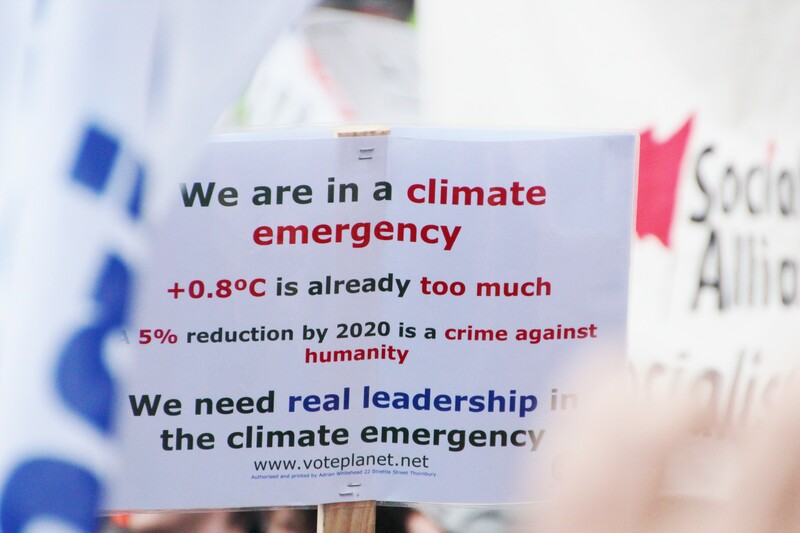 Climate Action Moreland advocates Australia should go back to the climate science on what we should do in terms of greenhouse gas emission reduction targets to take to the Paris UNFCCC climate negotiations in December 2015. In 2007 Australia formally signed on to the Kyoto Protocol. The agreement negotiated that year, called the ‘Bali Roadmap’, adopted in a footnote the IPCC 4th Assessment report strong greenhouse gas reduction targets for Industrialised countries of 25 to 40 per cent reduction on 1990 levels by 2020. We think we should adopt this as a benchmark, that we agreed to in 2007. This would require shifting Australia’s 2020 target from 5 per cent on 2000 levels to 25 per cent reduction on 1990 levels. This then would place Australian climate action in accord with what the best scientific advice demands as our fair share. For 2025 we should reduce greenhouse gas emissions by 40 per cent reduction on 1990 levels. Norway has already committed to this target. For 2030 we should reduce greenhouse gas emissions by at least 50 per cent reduction on 1990 levels. Switzerland has already committed to this target. While Australia is responsible for about 1 per cent of global emissions at 18.3 tonnes per capita, Switzerland by comparison is responsible for 0.1% of global greenhouse gas emissions with 6.4 tonnes per capita.ii Europe submitted it’s target as 40 per cent reduction in emissions on 1990 levels by 2030. We should aim to be carbon neutral by 2050, after which Australia should try to be carbon negative through soil carbon farming initiatives, afforestation, development of blue carbon sinks, and technological filtering the air of carbon dioxide. This is in accord with the negotiations that took place at Lima in December 2014, that articulated that “an aim of zero net emissions by 2050”. The targets by the Climate Change Authority are based on comparable international action, and the belief that we have a carbon budget which we can expend in the transition, and has been advocated as part of the IPCC 5th assessment report. But the global carbon budget does not reflect some of the unknowns such as the permafrost feedback and other possible climate feedback mechanisms that would reduce this budget. 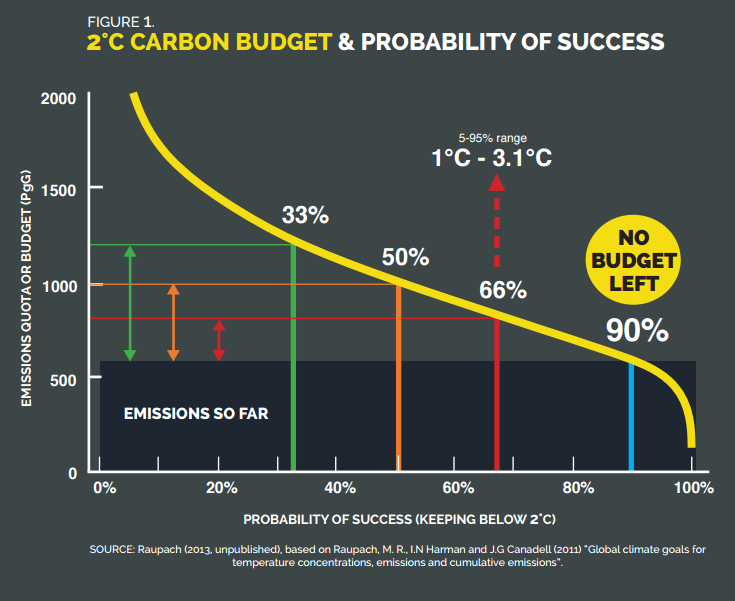 The Climate Action Moreland targets reflect the argument that for a 90 per cent chance of staying under 2 degrees Celsius the global carbon budget is already used up. This is explained in David Spratt’s latest report: Recount. It’s time to do the math again. Global and Australian decarbonisation by 2050 is feasible. Higher targets for Australia may not be easy to achieve, but we won’t know until we start. A 2013 report by Ecofys (PDF) investigated whether global carbon neutrality was possible to achieve by mid century and concluded it was technically and physically feasible as long as we rapidly escalate decarbonisation. Thankyou for this opportunity for discussing what Australia’s post 2020 emissions reduction target should be. The science is clear that human emissions are causing climate change and it requires a major rapid global response, according to the IPCC Assessment report 5i. There were signs that carbon pricing was starting to transform the electricity sector with demand and emissions from coal fired power stations falling. But since the carbon price was abolished in July 2014 coal based emissions have again been rising, providing profits for energy companies. 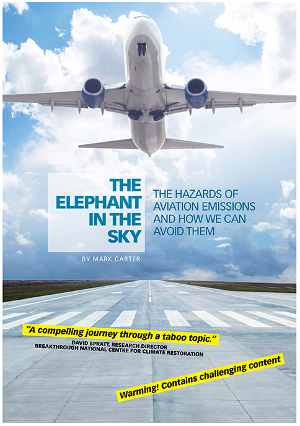 The scientific recommendations for emission reduction pathways have been around for many years. In December 2007 the IPCC 4th assessment report recommendation of 25 to 40 per cent reduction on 1990 levels by 2020 by Industrialised countries was adopted as a footnote of the Bali roadmap agreement of the Kyoto Protocol.vi Australia as an industrial country should have adopted this target and be well on the path to decarbonising our economy. Our question is why didn’t we keep to this scientific recommendation and adopt these scientific targets? Instead our baseline has slipped from 1990 to using 2000. Our base commitment at Copenhagen in 2009 was for a very unambitous 5 per cent reduction on 2000 levels by 2020. This was part of a negotiating range of 5 to 25 per cent reduction with higher levels conditional on comparable action by the global community. But if no-one leads it leaves us all worse off. Australia is just as much to blame for the policy debacle of Copenhagen as any other nation. The Labor Government under Julia Gillard was negligent in not moving to increase the target to the mid-range of Australia’s Copenhagen commitment. While the international situation has changed so that a 19 per cent reduction on 2000 levels is comparable with many other nations, it still only places Australia as one of the pack and not leading in emissions reduction. To be at the international forefront of climate action we should be adopting the scientific recommendation of 25 to 40 per cent reduction on 1990 levels by 2020. Bill McKibben’s Rolling Stone article on Climate Maths made it clear that we cannot burn all the known reserves of fossil fuels: coal, oil and gas, and have a safe climate.xi There are five times as much in known reserves as needed to push the climate past 2 degrees Celsius. This would imply that the Australian Government should tightly regulate and restrict mining exploration and development so that the 2 degree global warming limit is not exceeded and Australia restricts development in accordance with meeting globally agreed climate targets. Mining communities should be assisted to ensure a just transition of their economies. What should Australia’s post-2020 target be and how should it be expressed? Climate Action Moreland advocates Australia should go back to those 2007 IPCC 4th Assessment report targets and shift Australia’s 2020 target to 25 per cent on 1990 levels. Yes this does sound onerous, but it is in accord with what the scientific advice demands as our fair share. These targets will not be easy to achieve. A 2013 report by Ecofys investigated whether global carbon neutrality was possible to achieve by mid century and concluded it was technically and physically feasible as long as we rapidly escalate decarbonisation. The decarbonisation transition would be disruptive and challenging, but also open up many new economic opportunities and growth areas. It should be up to our governments to ensure the transition is regulated and controlled with transition and retraining plans. A landmark report by prominent researchers found that deep decarbonisation for Australia by mid century without endangering economic prosperity was quite feasible. One of the greatest benefits of this transition would be the substantial saving in health impacts with the reduction of coal mining and combustion. Currently these are external costs to coal fired power in Australia, yet are largely born by the Australian public and taxpayer. There have been two reports published this year to quantify these external costs:one from the Hunter Valley and another looking at coal in Victoria. Transitioning from coal would produce large benefits in increased community health and in environmental health. Coal combustion also utilises large amounts of cooling water while many of the replacement renewable energy have little or much lower water usage. Coal mining communities should be assisted in determining and transitioning to new economic plans for their regions as phased closure and decommissioning of coal mines and coal fired power stations is undertaken followed by appropriate mine rehabilitation. Which further policies complementary to the Australian Government’s direct action approach should be considered to achieve Australia’s post-2020 target and why? The Emissions Reduction fund has it’s place as a mechanism for reducing emissions. But it should not be the only tool utilised by the government. We recommend that Australia re-implements a full Emissions Trading Scheme or a carbon tax, with incremental rises in value, to provide a firm market based price signal. Such an Emissions Trading Scheme should be linked to similar schemes in Europe, California and China. Increase Industrial and manufacturing pollution emissions standards. We should be increasing the pollution standards so that heavy polluters in manufacturing or energy production are forced to upgrade their pollution filters to prevent costs to community and public health and environmental degradation and destruction. The release of the discussion paper Working towards a National Clean Air Agreement is a start, but rapid progress needs to be made with national emission standards introduced.xxiv We recommend a one year transition to new pollution standards, after which any non-compliant plant would be threatened with closure. Increasing Renewable Energy target to 90 per cent by 2030. Fund further research, development, pilot and commercial rollout of ocean energy systems for contibution to the National Electrical Market and potential for export internationally. Continue promoting development of soil carbon farming and reafforestation, and implement a ban on deforestation of native forests. Communities negatively affected by closure or scaling down of carbon-intensive industries should receive tailored assistance to develop new and more diverse economic opportunities. Government at all levels should consider in policy implementation whether new projects and policies are harmonised with a low carbon future. This approach will save expensive rework in the future (for example retrofitting of buildings) and help develop Australia’s industry on the ‘bleeding edge’ of low-carbon technology and services. 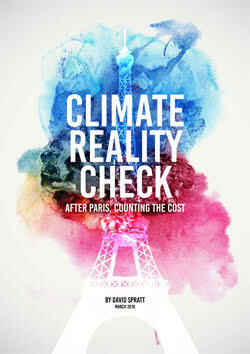 In wide reading of climate science and climate policy, it is imperative that we reduce emissions rapidly to avoid greater costs of damages, mitigation and adaptation. Australia is likely to feel the impacts of climate change more severely than other regions. It is time we started seriously transforming Australia to be a low carbon economy and society. Entry filed under: climate change info, news, Policy. Tags: Australia, climate targets, COP21, greenhouse gas emissions, Paris UNFCCC climate negotiations, target.